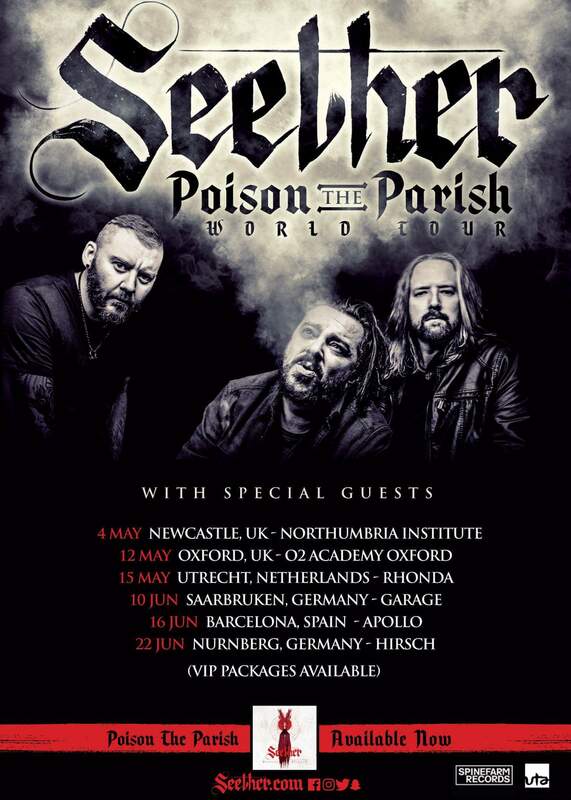 HomeTour DatesNEWS: Seether announce UK dates in May! South African alternative hard rockers Seether will be adding a pair of UK stops to their “Poison The Parish” World Tour. Support bands are still TBC. Seether’s current album, which shares the name of the tour is out now via Spinefarm Records. NEWS: Trivium to bring “The Sin And The Sentence” tour to the UK in April! NEWS: Feed The Rhino September tour dates!